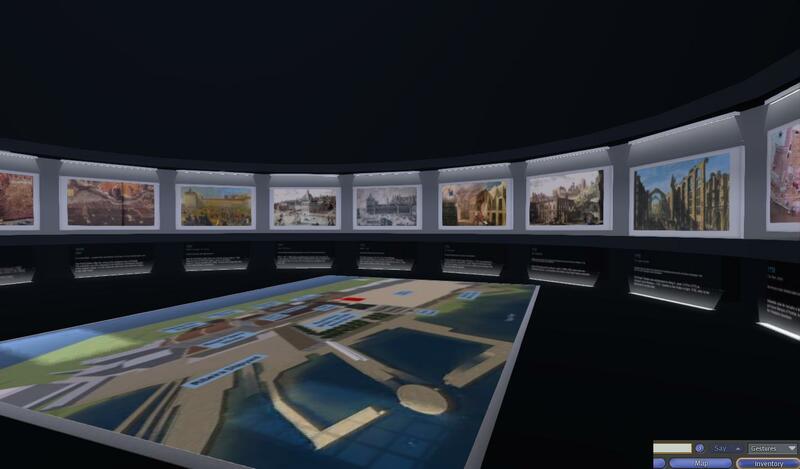 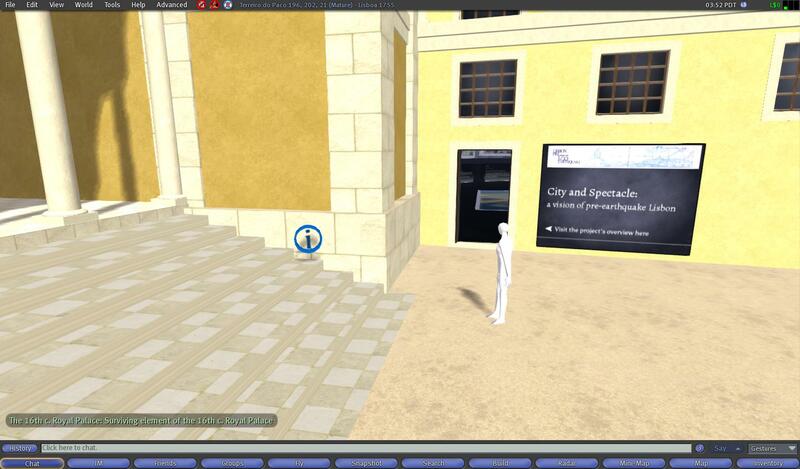 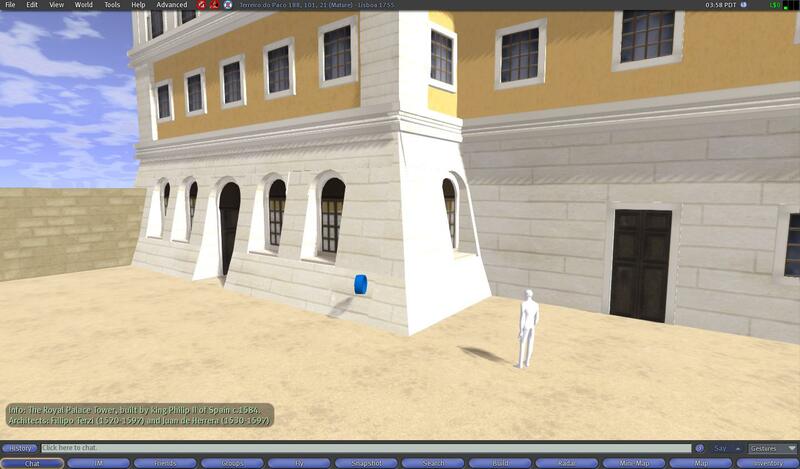 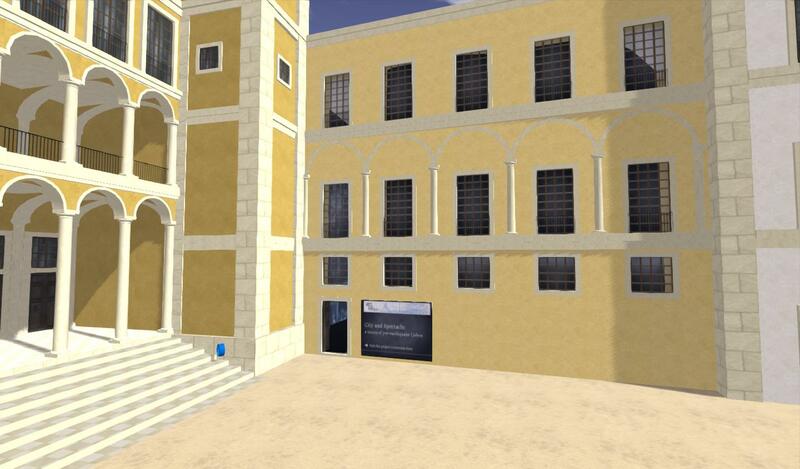 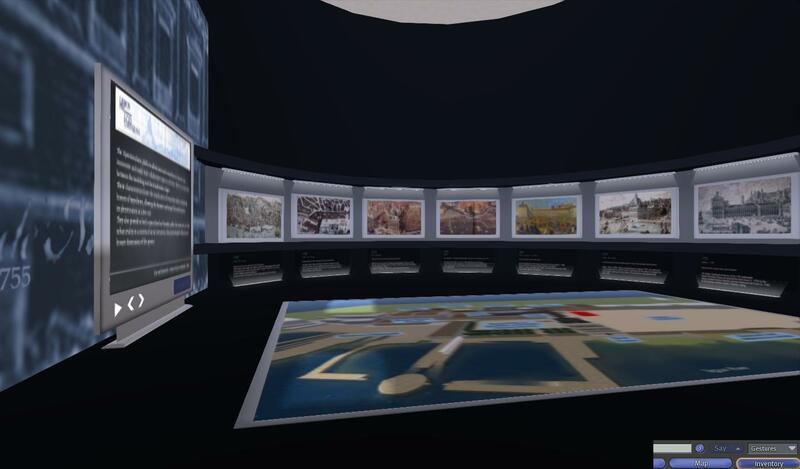 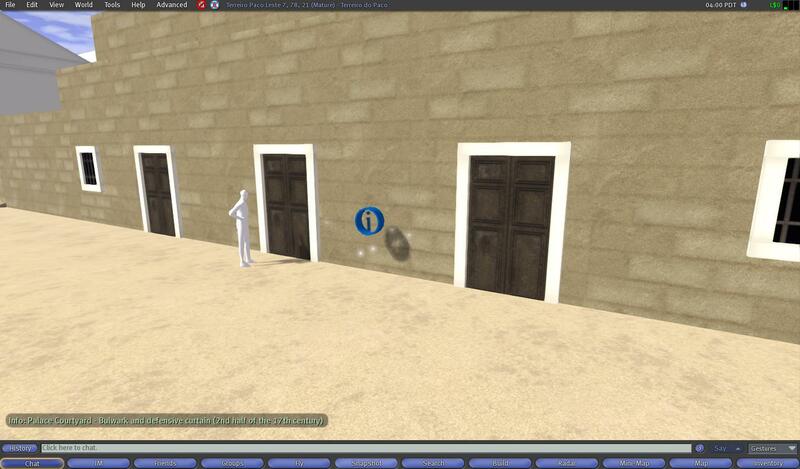 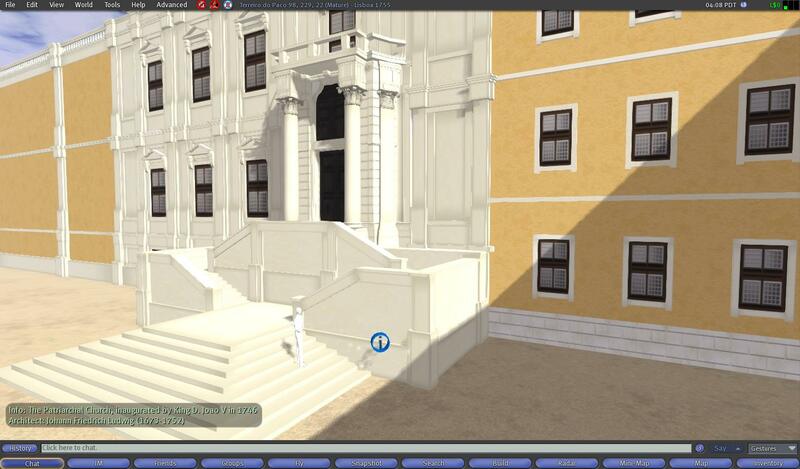 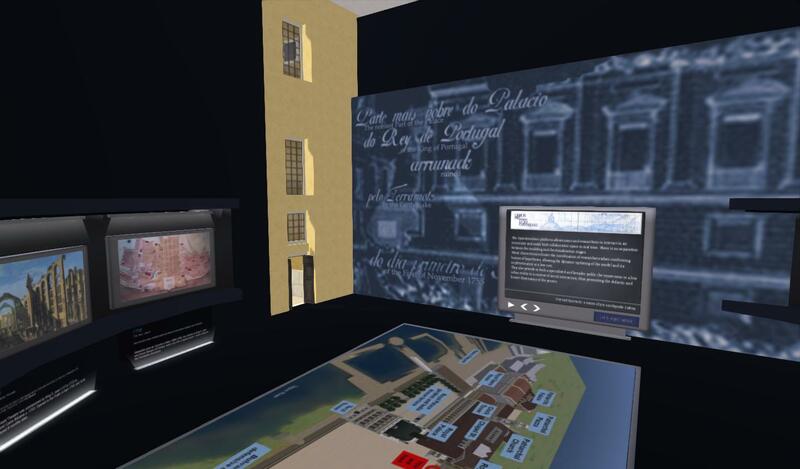 Workshop organized in the scope of the City and Spectacle: a vision of pre-earthquake Lisbon project, a virtual recreation of the city of Lisbon before the 1755 earthquake, using Second Life® technology. 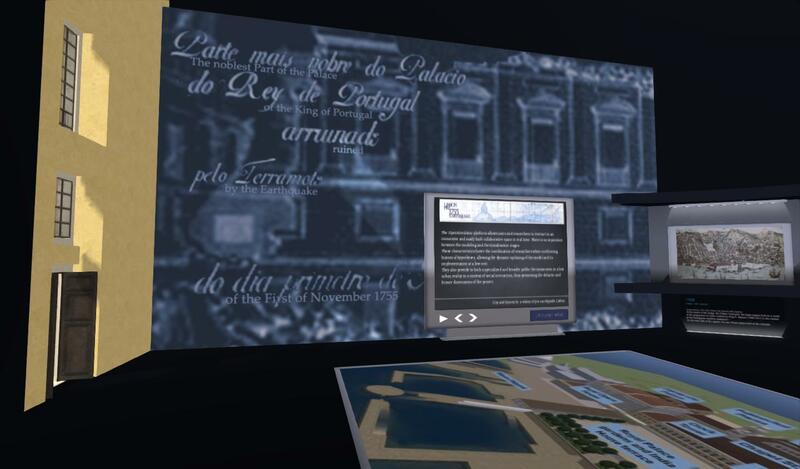 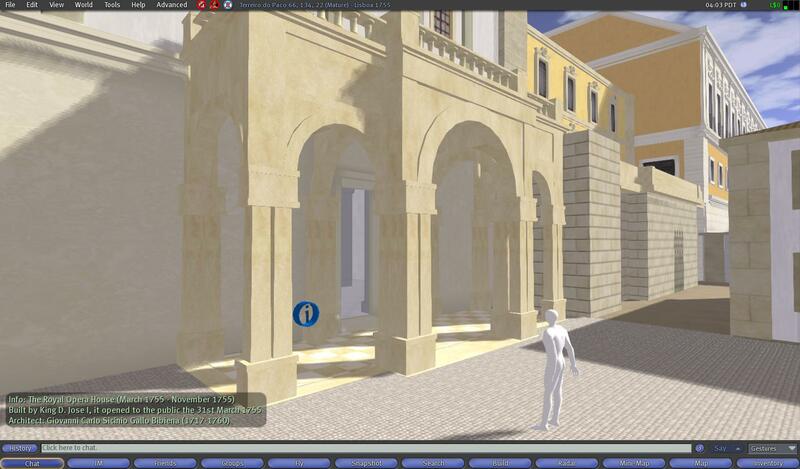 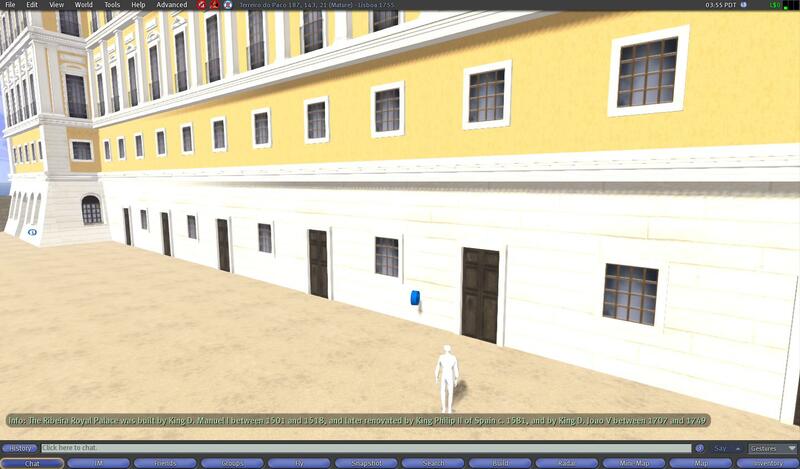 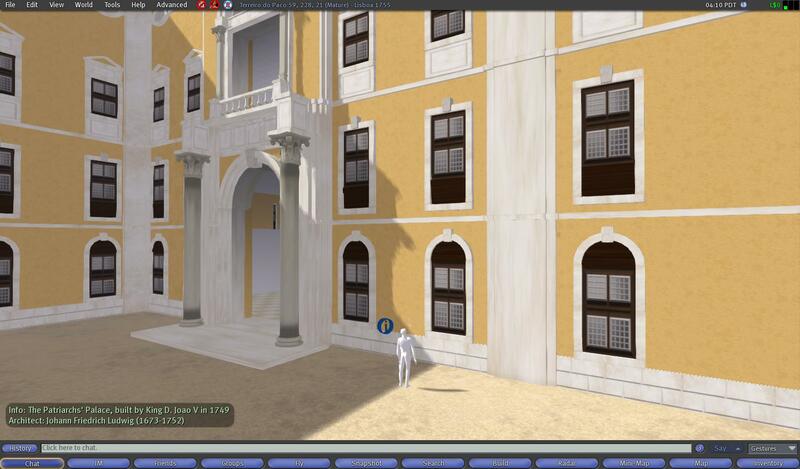 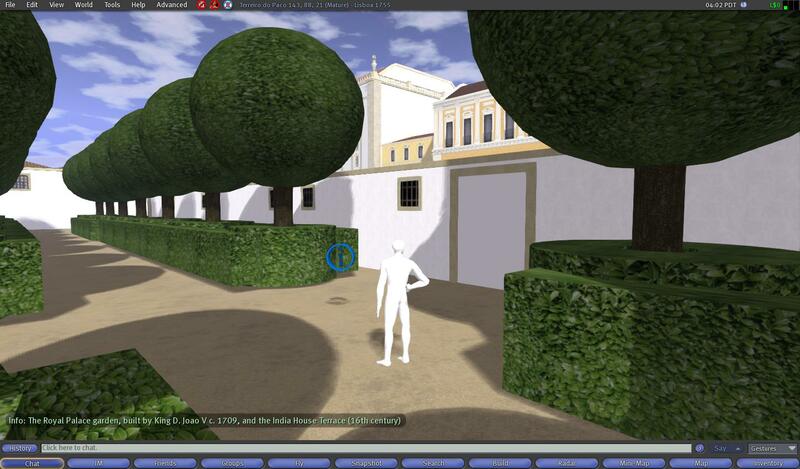 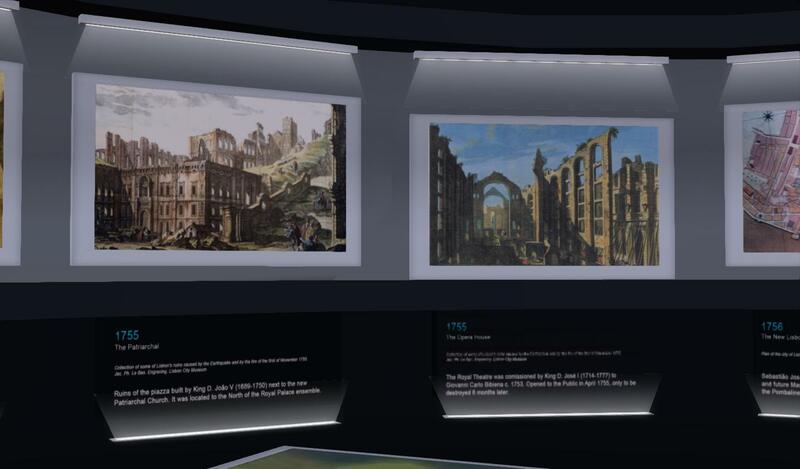 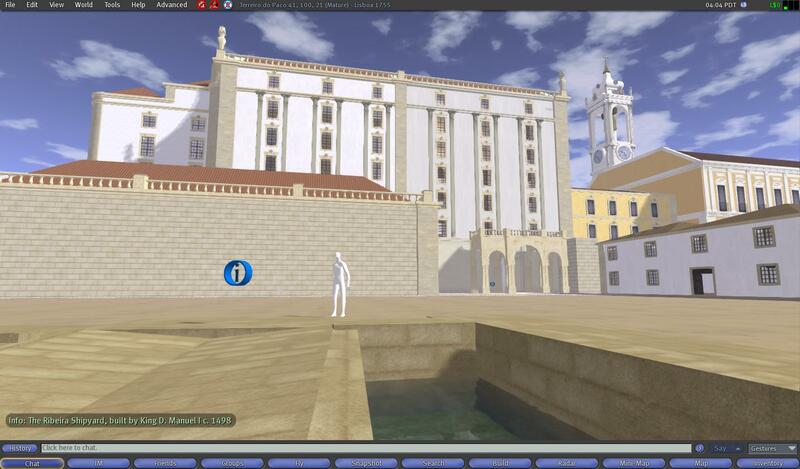 A pioneer project in Portugal, it is being developed by the Centre for History of Art and Artistic Research of the University of Évora (CHAIA), the company Beta Technologies, and the King’s Visualisation Lab (KVL), King’s College London. 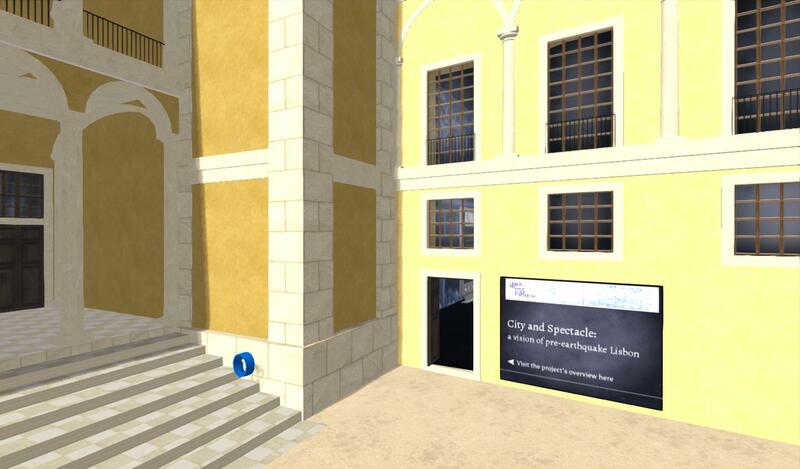 Participants in this workshop included Bernard Frischer, Director of the Virtual World Heritage Laboratory, University of Virginia and scientific coordinator of the pioneer project Rome Reborn, a virtual recreation of Classic Rome; Richard Beacham, Director of the King’s Visualisation Lab, King’s College London, an institution focused on the application of the virtual language to historical research; Drew Baker, researcher and one of the founders of this institution; Ana Cristina Leite, Director of the Lisbon City Museum; António Filipe Pimentel, Director of the Portuguese National Museum of Ancient Art; Alexandra Gago da Câmara, researcher of CHAIA; Carlos Tavares Ribeiro, member of the Scientific Committee of the company VERSUS – 3D interactive development in the Web; Cristina Gouveia, representantive of the company YDreams – specialists in interactive technologies; Helena Murteira, researcher of CHAIA; Luís Sequeira, representantive of the company Beta Technologies – Architects of the Virtual World; Paulo Rodrigues, researcher of CHAIA; Ricardo Branco, representative of the Cultural Itineraries of the Tourism Association of Lisbon and Vítor Cóias, Director of GECoRPA – Group of companies for the conservation and restoration of architectural heritage.